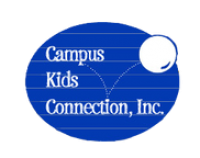 Campus Kids Connection, Inc. offers programs designed to provide a safe and secure environment for children before and after school. We also provide a winter, spring and summer camp. We work directly with Soquel and Santa Cruz City school districts. Our non-profit agency was founded in 1978 at Capitola Elementary school and we serve over 650 families in Santa Cruz County. We provide services to a diverse population of children in preschool thru Fifth Grade, at eight elementary school sites.